I had hoped the frost would herald some proper winter. I hate unendingly claggy, wet, grey days. I can feel my allotment mojo seeping away, and even though there is plenty to do, I struggle to muster much energy to tackle it. Looking ahead to next year’s harvests, I now have peas. Two short rows of overwintering Meteor, which are protected from mice and birds by some blackthorn barricades. It’s the first year I’ve got them started early enough to avoid the attentions of pea moth. 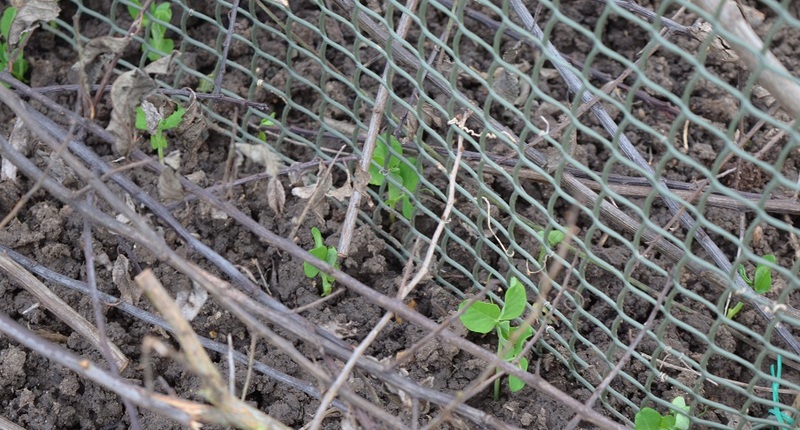 I had a bit of a shuftie around in the garlic bed – happily the terminally shy Tuscany Wight has started to move. I think I buried it too deep, so on that assumption the top inch or so of soil has been skimmed off and chucked onto the bed behind. Again, this has blackthorn barricades to deter our crows who will pull out anything faintly green and interesting. My saffron’s been fed with non-smelly fertiliser (so’s not to interest the local fox into digging), which hopefully will build next year’s crop. Likewise the rhubarb and cooking gooseberries have had a good helping of manure to get them ready for winter. 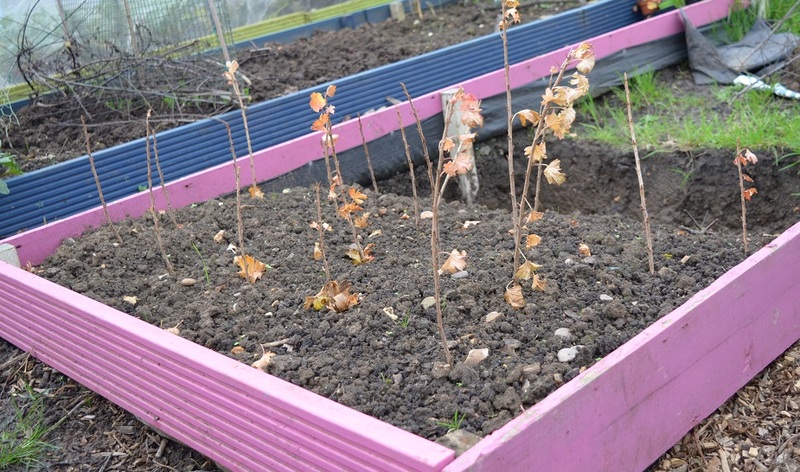 After a bit of a fight the gooseberries have been tamed so they fit inside their cage – vicious thorns on those things! I’ve stuck a healthy number of the prunings in a spare bit of bed. If they take I’ll find space somewhere. Still to finish is the hedge trimming, which I think I will save for a Christmas ‘treat’. Plus skimming and chipping 2 new paths. And then there is weeding. That doesn’t seem to end, ever.